As part of President Trump’s tax reforms, meals and entertainment deductions are changing. These deductions have been very common for all sizes of businesses for years. 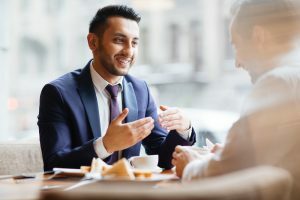 Taking a client to lunch or out to an event to discuss a deal, bringing lunch in for employees, or feeding the team during an office party seem like business as usual. With the new tax reforms, they just won’t be as deductible as they’ve always been. If you’ve been following these changes at all, you’re probably wondering how they affect you and maybe a little confused about the details. Everyone is a little confused, including Congress. The language in the reform is unclear and some of the details still need to be hammered out. Here are three major categories affected by the change in meals and entertainment expense and what we know about them right now. A party at the end of the year, or the end of your busiest season, can be a great way to boost morale and keep the team close. It’s also a pretty straightforward deduction. The old rules allowed the cost of food for an office party to be fully deductible. This has not changed under the new reforms. This is an easy one, right? No change. 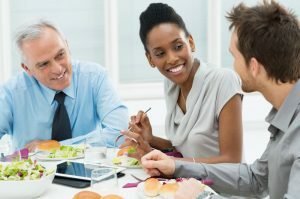 Here are two things you should be aware of when deducting office party food expenses. To qualify for a deduction, these events must be generally open to employees. If you host a party only for high-level employees, top performers, or board members, this deduction doesn’t apply. Secondly, since so many other rules are changing, be sure to track these expenses in a separate account, so they don’t get mixed with other meals expenses that may not be deductible. The IRS likes to use the term “De minimis fringe benefits.” This is basically just food and drinks available around the office for employees. It’s the box of donuts in the break area and the coffee that gets you through the morning. The old law gave a 100 percent deduction for these benefits. Under the reform, that changes to 50 percent. Keep this in mind when you budget for office snacks, so you don’t end up spending more than you want to. Make sure you clearly track these expenses so they are separate from things like the office party food we just discussed since they are handled differently. This is the big one, especially in some industries. Taking a client to the theater, the golf course, or out to lunch is a big part of doing business and making deals for many companies. This is also one of the least clear and potentially biggest changes in the reform. The old law allowed meals and entertainment to be deducted up to 50 percent. The idea was that the money spent on your own meal or ticket was not deductible but the client’s meal or ticket was, hence the 50 percent. The tax reform appears to eliminate entertainment deductions completely. That means that the golf course, the theater, the ball-park, etc. are no longer deductible at all. The cost of the meal seems to be left at 50 percent deductible but many experts are still worried about how the IRS will handle this when returns are filed for the first time under the new law. Some think meals were “thrown out with the bath-water” as a category of entertainment. Others feel that any meal with an entertainment component – such as a meal or drink in an establishment with live music – could be disallowed. The best way to handle these deductions, at least for now, is to track everything in separate accounts so they are ready to go as we get more clarification. Entertainment goes in one account, meals in another, and meals with entertainment in another, or even split. 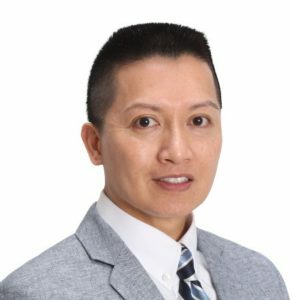 This allows you to get the most from your deductions and not have deductible expenses mixed with non-deductible and thrown out. 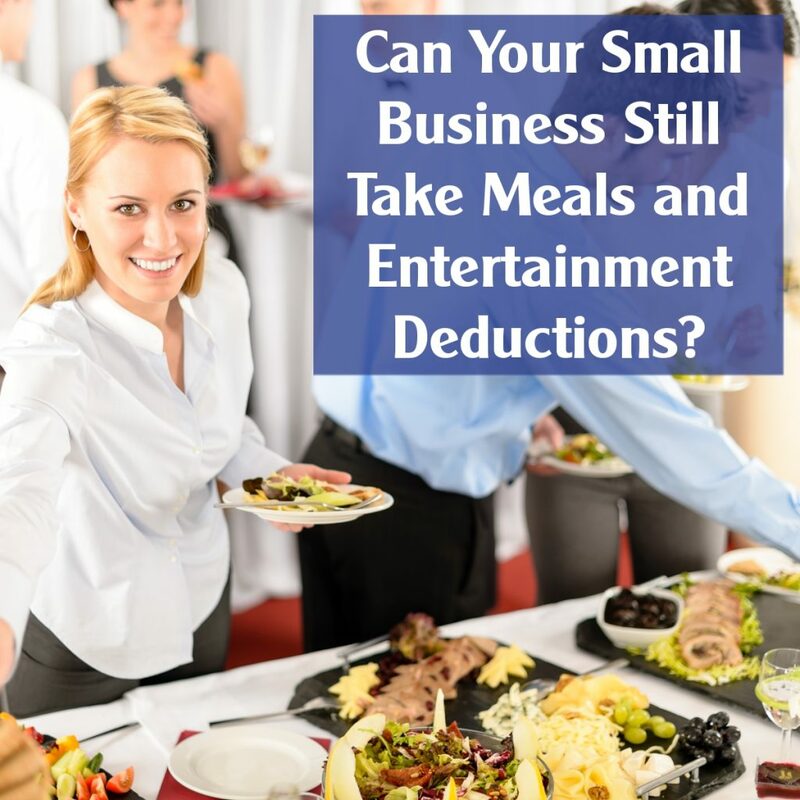 If you enjoyed this article on Can Your Small Business Still Take Meals and Entertainment Deductions? please like and share. 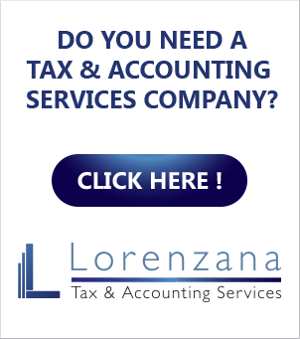 Disclaimer: Any accounting, business or tax advice contained in this article, is not intended as a thorough, in-depth analysis of specific issues, nor a substitute for a formal opinion, nor is it sufficient to avoid tax-related penalties. If desired, I would be pleased to perform the requisite research and provide you with a detailed written analysis. Such an engagement may be the subject of a separate engagement letter that would define the scope and limits of the desired consultation services.